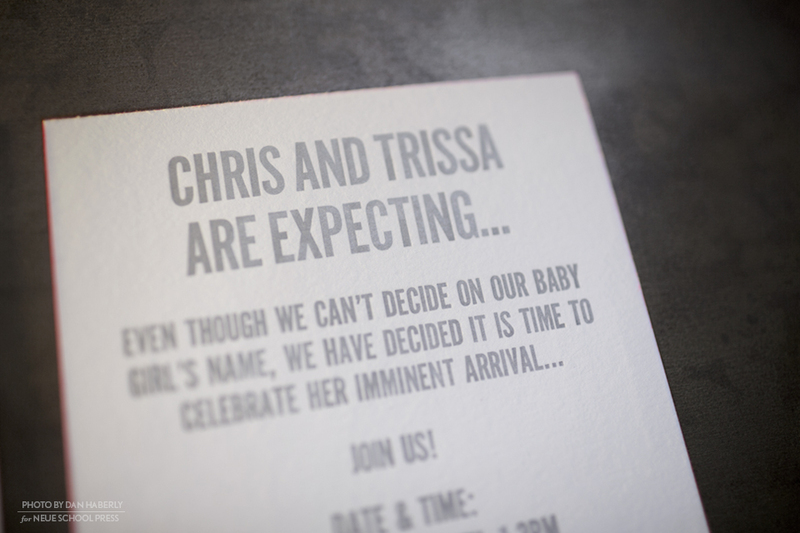 This baby announcement was completely hand set using only antique wood, metal type and engravings. 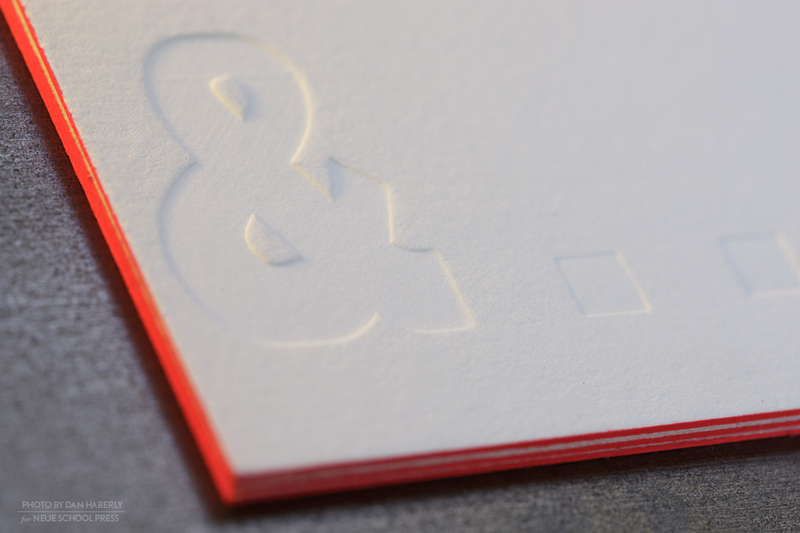 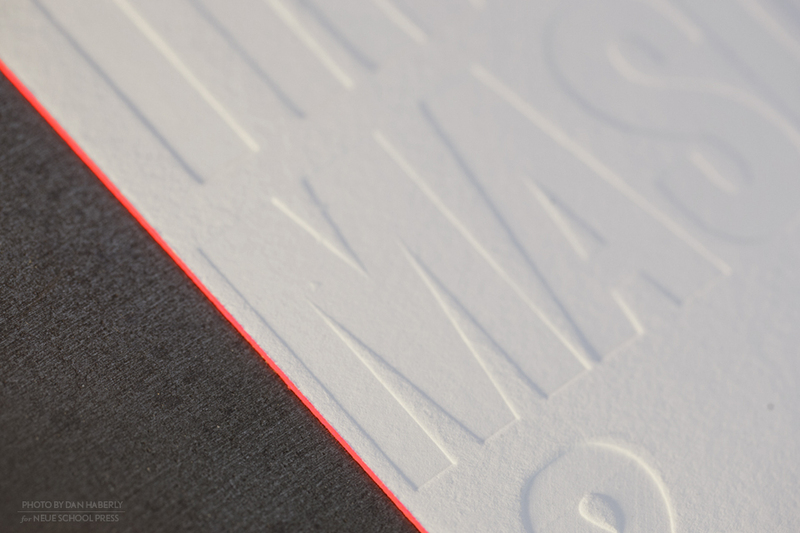 The format of the card, an oversized A9, was chosen to accommodate the large wood type which was blind embossed on the front. 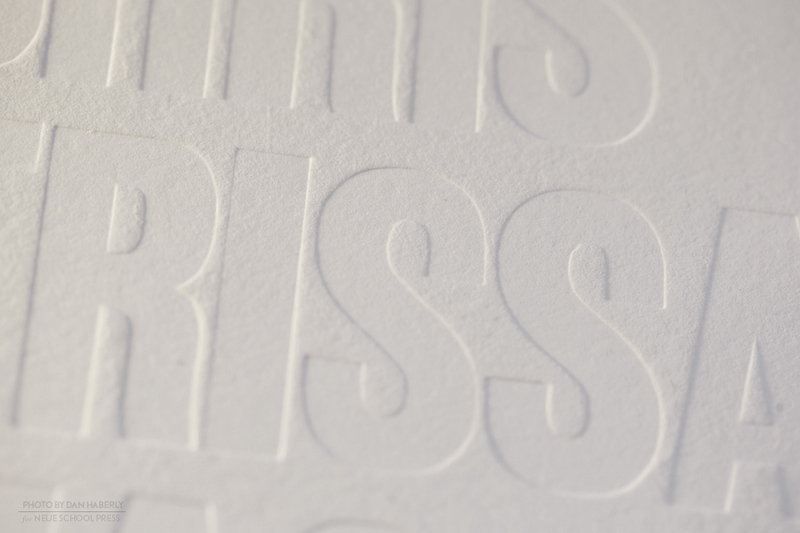 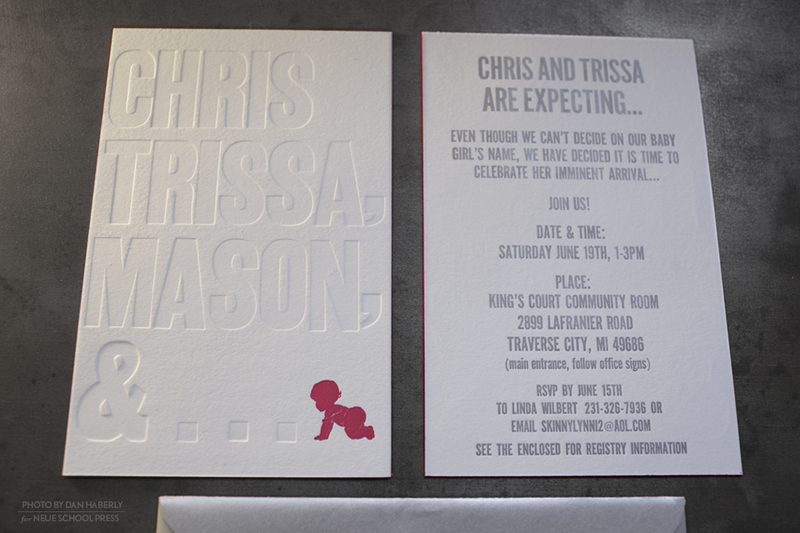 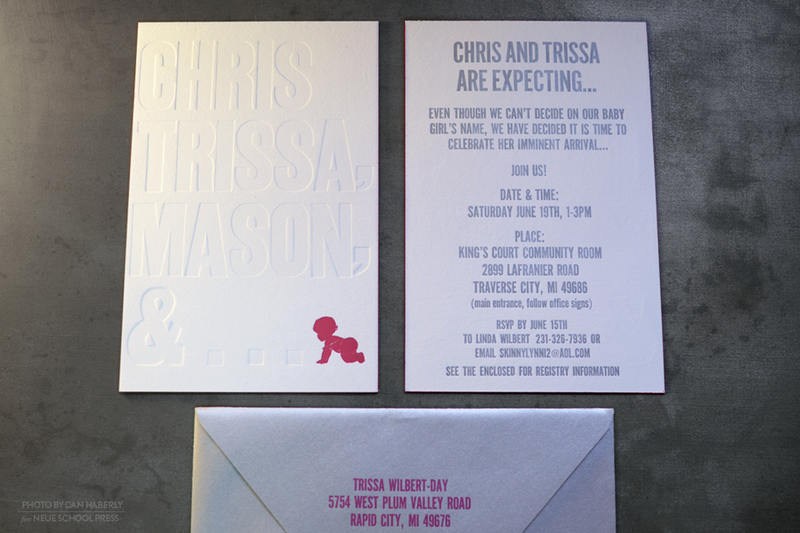 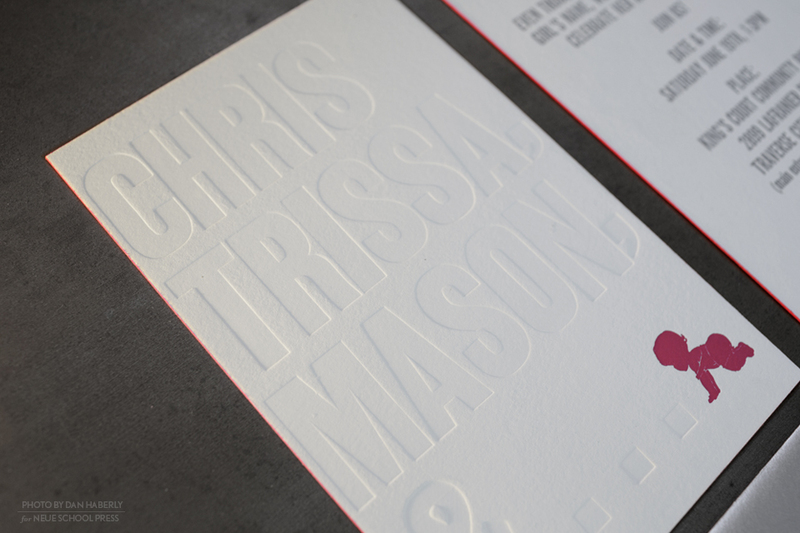 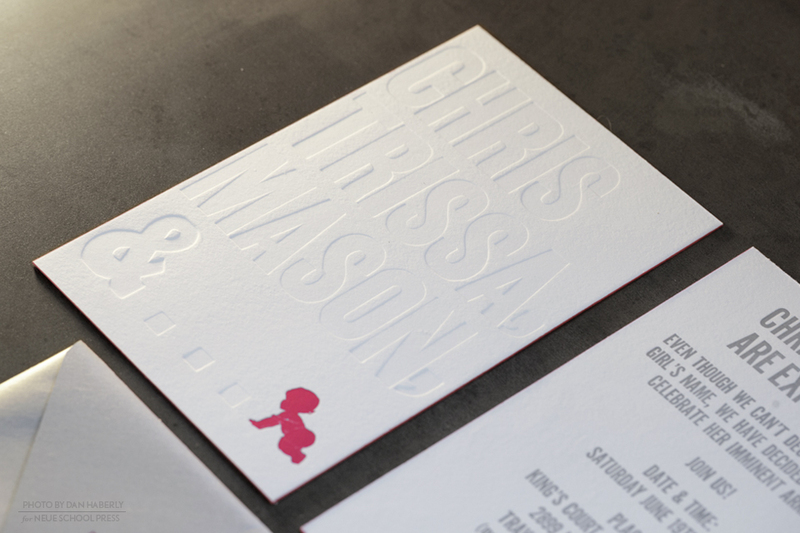 The back (hand set in metal type) was letterpress printed in silver ink. 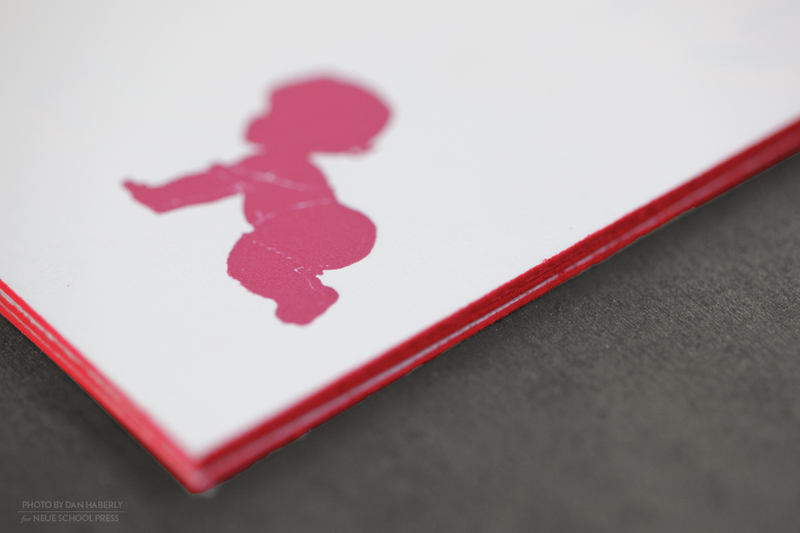 Taking advantage of the extremely thick, 100% cotton card, we added an additional hit of magenta on the often neglected edge surface of the card. 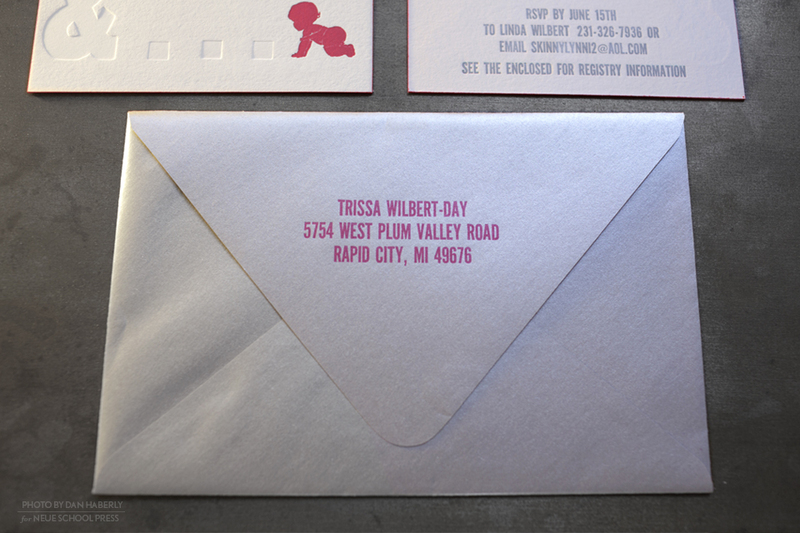 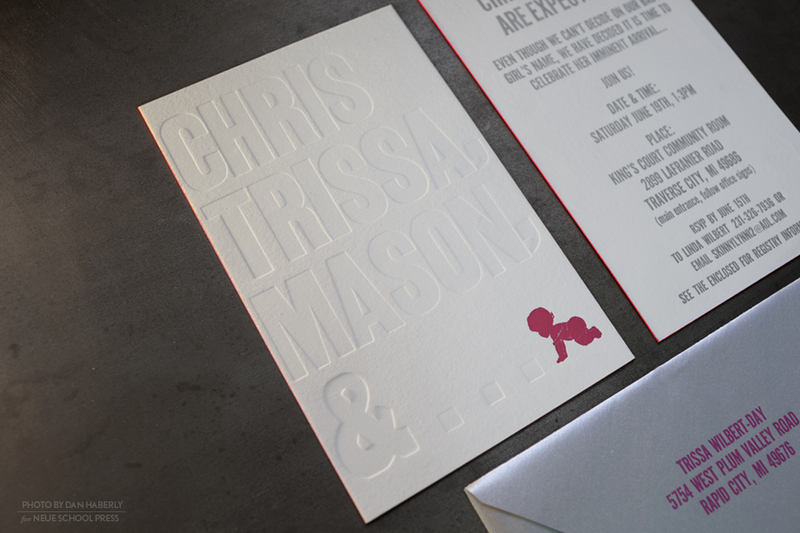 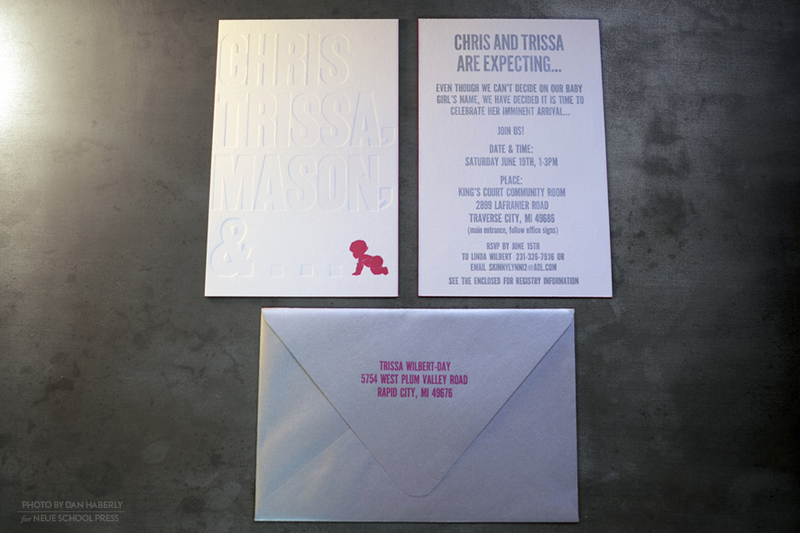 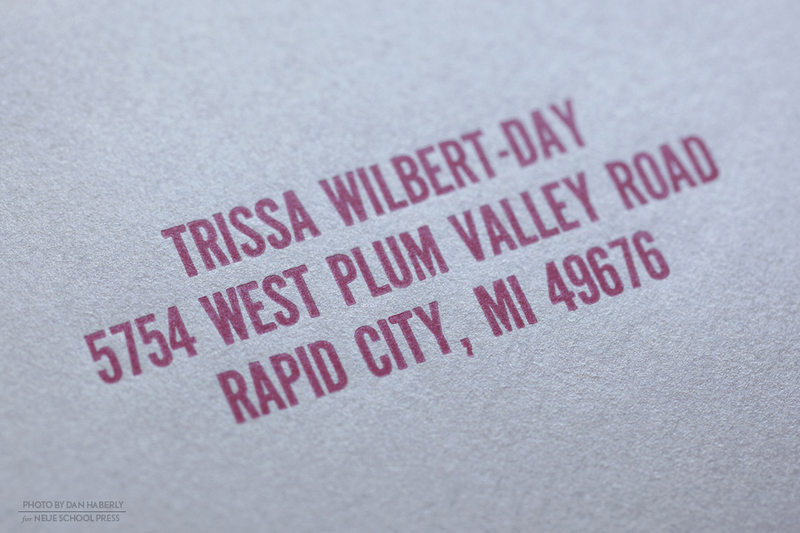 A coordinating silver envelope, printed with a magenta return address on the flap, completed the package.